“Once again, it was a true pleasure working with your team. Please tell Brandi and Brittney that they rocked it again this year for us. A View on State is a beautiful place but the high level customer service that you provide takes it over the top. 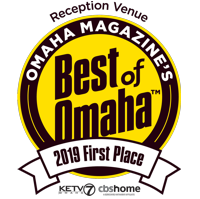 You can count on SW Omaha Rotary Night Club members and Boys Town staff recommending your facility to anyone and everyone. This is the place to go if you’re getting married. The staff was very professional, the food was great and the Ceremony was incredible. I’m not sure who the photographer was for my Son’s April 22nd wedding was but she did a really incredible job getting the right photos at the right time. I work for DaVita Healthcare Partners. We held our divisional meeting at A View on State. We worked with Britney throughout the entire planning process and she was on site for the days of the event. Every crazy request we threw her way, she would smile and just say OK. Like magic, she made everything happen. Our goal going into this meeting was to create the model to which other divisions would look when planning their retreats. We could not have pulled this all together without Britney and her team. 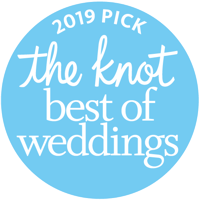 My husband and I just recently got married at A View in Fontenelle Hills. The venue was absolutely gorgeous for our ceremony and reception! The staff was amazing to work with throughout the entire process. It rained on our wedding day and they were out there wiping everything down to make sure the seats were dry for the guests and that the spiral staircase was dry for my entrance into the ceremony! Amazing place to have your reception at as well as your ceremony! A View was amazing! They are so easy to work with, and so willing to help with whatever you need! Our 6 month meeting went so smoothly because they knew exactly what they were doing! Very helpful and extremely friendly! 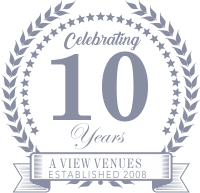 We would love to hear about your special day at A View and your experience with our venues and staff. Please use the short form below to leave us a testimonial. By clicking submit you give A View Venues permission to post your testimonial online.